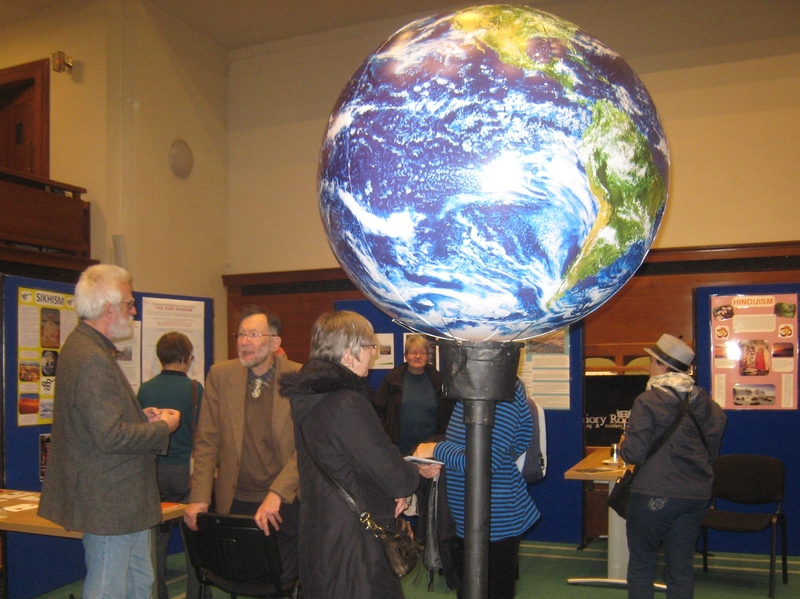 Three events successfully brought people from Birmingham together to take action for a Low Carbon Future. Now all eyes turn to Paris, as world leaders arrive there for the COP21 Climate Summit. On Saturday 28th November, members of Birmingham’s faith communities came together for a walk & gathering in support of a low carbon future. Faith leaders and young people gave some inspiring messages, reflecting on the challenges of being good stewards of the Earth & its resources, and the footsteps we will need to take to a more hopeful future. The following day, our coach took a group of Birmingham activists to the People’s March for Climate, Justice & Jobs in London. They joined around 50,000 people in the capital (and millions across the world) calling on world leaders to take genuine, binding action on climate change in Paris. Footage from the many worldwide events will be screened to world leaders as they arrive at the summit today, to demonstrate that the voices of so many people cannot be ingnored. This all followed on from the Exhibitions & Conversations event held on 21st November as part of Interfaith Week. Members of the different faith communities in Birmingham each presented a view of the environment from their faith perspective, learning from one another and building connections to work together in future. Members of different faith communities learn from each other. All this is the beginning of more work between people of faith, and others concerned about climate change in Brum – so watch this space for future updates. For now, all eyes turn to the event that these events have been highlighting and holding to account: the Paris Climate Conference. We know that the deal struck in Paris won’t be the solution to all our climate problems, but it could be an important step on the journey to a low carbon future. We’ll be keeping you updated on how it goes, and with what action can be taken beyond Paris – so pop into Peace Hub to have a chat & find out more. And don’t forget that Quaker activist Eileen Flanagan will be talking about ‘Finding Hope Post Paris’ on 16th December.